Rugged & ready to battle the harshest environments. Design flexibility to meet the most complex specs & requirements. Combat proven & battle tested Mil-spec servers. Unlock extreme computing power in scalable, MTTR optimized server blades. Long-Life Stability & Performance. 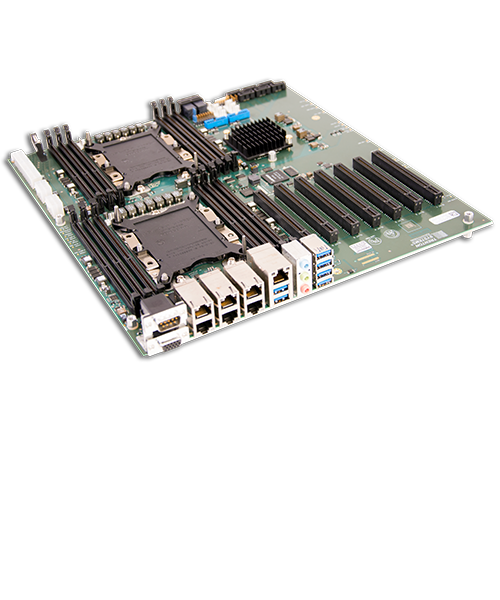 A Processor Board For Every Need. A variety of PCIe, PCI-X, and PCI Slots to support diverse computer system designs. Introducing the NEW Rugged Motherboard.